The Sony ICF-F12S is a simple analog portable shortwave radio produced primarily for markets in Asia. Shortwave coverage spans from 5.9-18 MHz. Be aware that there is a cosmetically identical model called the Sony ICF-F11S which has very limited shortwave coverage. 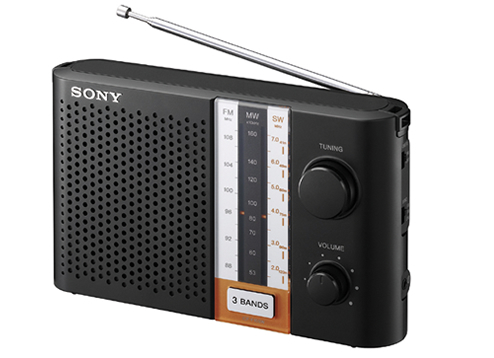 Most listeners–except those who need only the lower, tropical band coverage–will find the Sony ICF-F12S shortwave coverage preferable. For most consumers, the only source for the ICF-F12S is through sellers on eBay. Search eBay for a Sony ICF-F12S. This entry was posted in Analog, Portables, Sony and tagged Analog, ICF-F12S, Sony, Sony ICF-F12S. Bookmark the permalink.